The TOP853 programmer has very compact size, the power loss is quite low and is very reliable, specially design for micro-controller programming and many type of EPROMs. 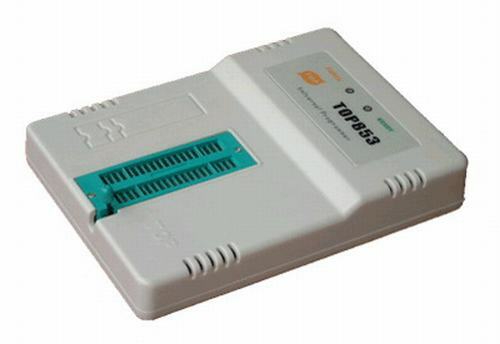 TOP853 uses USB to communicate with notebook or desktop computer, it does not need the external power supply and the transmission speed is high.It is very easy to carry out with notebook computer. Support more than 1000+ devices from AMD, CATALYST, FUJITSU, HITAVHI, ST, MICROCHIP, NEC, NS,OKI, SONY, TI, TOSHIBA, WLSI, AMIC, ATMEL, INTEL and so on.